Breakout Coin is having its second coin sale from June 13 to July 7 to give people a chance to get a stash of this new cryptocurrency. The sale is hosted on the Bittrex cryptocurrency exchange and will see more than 6 million BRKs be sold. This is the second sale of the coin since 2014, where the developers had an initial 3 million BRK sale to fund initial development. Now with this second sale, the people behind Breakout Coin is nearly about to go public, which is very good news. Breakout Coin is just one part of an entirely new system that will change the way people do transactions on the Internet. The idea behind it is pretty close to Bitcoin. It is a global payment structure that allows people to pay from anywhere with the minimum amount of fees paid. The big difference in its implementation is that instead of just one currency being supported like Bitcoin, there are three, each of them having a specific purpose in the economy. First, there is Breakout Coin which will be the backbone of the entire system. With Breakout Coin, people will be able to buy products and rent services. Unlike Bitcoin, though, there is a ready-made market. The Breakout Chain has its own gaming platform called Breakout Gaming, ensuring that Breakout Coins will always have platform for spending and use, meaning it will always have a steady value. Second, there are Breakout Stakes and Sister Coin. These two currencies are there to ensure that the ledger is secure by providing both proof-of-work and proof-of-stake. Sister Coins are awarded to miners and can be converted to Breakout Coin. Breakout Stakes, on the other hand, provide proof that a person is part of the investment pool for the Breakout chain. With Breakout Stakes, people can earn interest with their ownership, proving that they have vested interest in the coin. 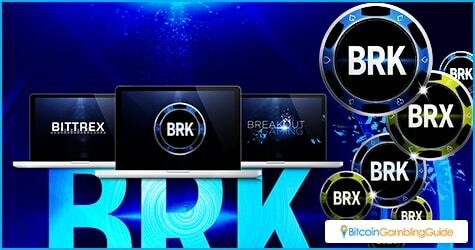 Being a next-generation altcoin, Breakout Coin has several advanced features. For example, users have the option to completely be anonymous when making transaction. Additionally, users can create one-time addresses to facilitate private transactions. Combined with an upcoming integrated game platform, the Breakout chain will be fascinating to see in action. Becoming part of the Breakout Coin experience early is a good idea. 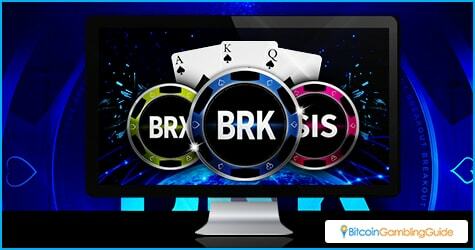 This coin sale will allow people to buy BRKs at a starting price of 4,500 BRK/BTC. Being sold on Bittrex, one of America’s most trusted exchanges, Breakout can be a trustworthy currency. The sale itself is very straightforward. People just buy the BRK at the exchange, but there are a few bonuses for the early buyers. In the first hour, buyers will have a 25-percent bonus. As the weeks progress, the bonus will drop. By the time it is over, any unbought Breakout Coin will be destroyed, while Breakout Stakes will be kept around. Interested investors should jump in early to fully maximize their gains. Breakout Coin is looking to be a coin of the future and it will be interesting how it develops. Meanwhile, this is a good sign for Breakout Coin, especially for Breakout Gaming, which made a buzz for a while in Bitcoin poker but gradually stepped out of the spotlight. With the change in the cryptocurrency name from BRO Coin to Breakout Coin, as well as a second sale for the coin that now has an improved ecosystem, the cryptocurrency and online gaming communities await the experience and innovations that are in store for them.